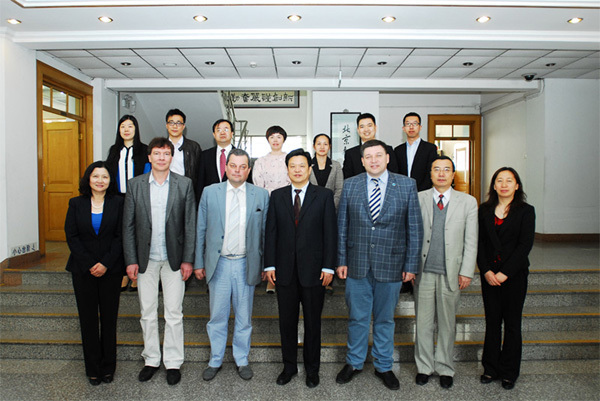 On April 22, President QiaoJianyong met with Vickor M. Ustinov, the Deputy Director of St. Petersburg A.F.Ioffe Physico-Technical Institute and Correspondent Academician of Russian Academy of Sciences. Hewas accompanied byAleksei E. Zhukov, Vice President of St.-Petersburg Academic Universityand Correspondent Academician of Russian Academy of Sciences, and Vladimir G. Dubrovskii, Director of Department of Theoretical Physics at St.-Petersburg Academic University. 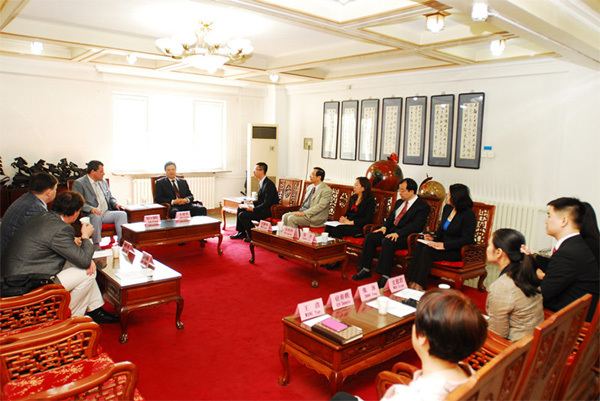 Firstly, President Qiao expressed his warm welcome. Then, President Qiao spoke highly of scientific results from the cooperation between“111 Base”, which lead by Vice President Ren Xiaomin, and St. Petersburg A.F.Ioffe Physico-Technical Institute. Mr. Ustinov appreaciated the hospitality from BUPT. Mr. Ustinov stated that Ioffe Institute is one of Russia's largest research centers specialized in physics and technology. The institute was established in 1918 in Petrograd(St. Petersburg) and run for several decades by Abram Fedorovich Ioffe. The Institute is a member of the Russian Academy of Sciences. 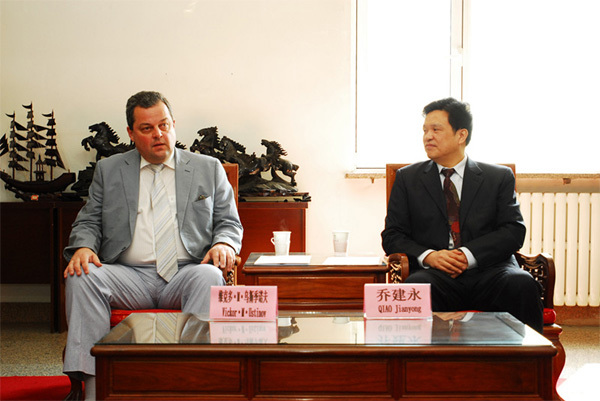 Later, President Qiao pointed out that BUPT has the top students and teachers, the cooperation between BUPT and Ioffe Institute could expand from scientificre search to education and beyond. Ms. XIN Lingling, Assistant to President and Director of General Office, Ms. REN Chunxia, Director of International Office, Ms. WANG Yan, Deputy of STD, Mr. WEN Sijun, Deputy Director of International Office, Ms. ZHANG Yong, Deputy Dean of IPOC and Deputy Director of State Key Laboratory of IPOC, and Mr. ZHANG Jie, Deputy Dean of IPOC were also participated in the meeting.